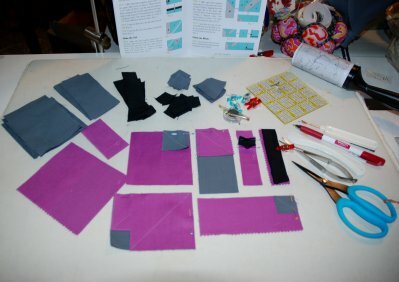 Cinderella Tip #1 Make SAMPLE BLOCK(S) First! 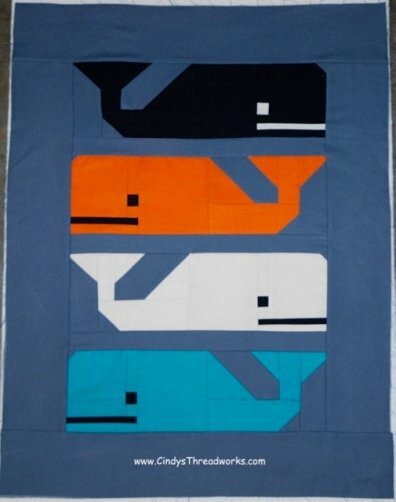 I had a whale of a time FIRST creating this ‘sample’ mini quilt experimenting with 4 blocks. I highly recommend this step to familiarize yourself with the blocks, techniques & to establish consistency. 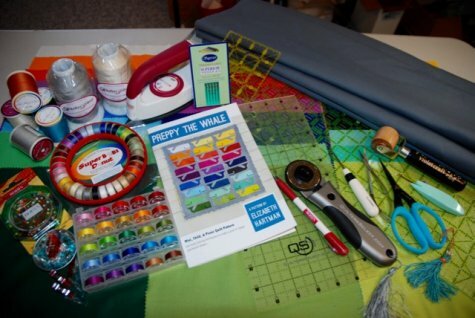 Gearing up to lure in 27 more whales for my grandson’s quilt. 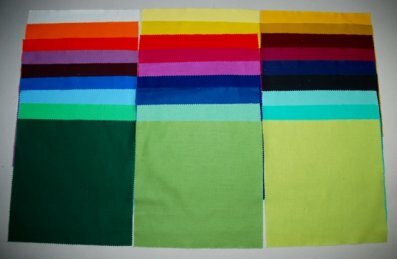 Perhaps turn your sample blocks into placemats, table runner or pillow case? 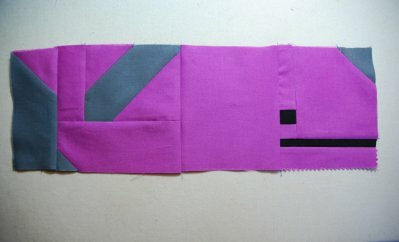 I made a mini wall quilt here. 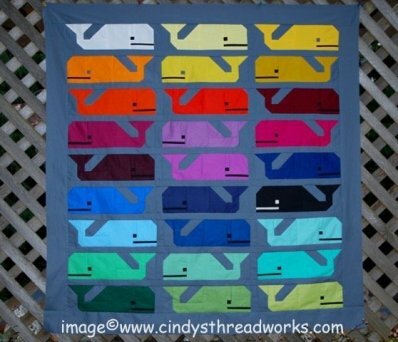 Preppy Whale Pattern is designed by Elizabeth Hartmann. Cinderella Tip #2 SUPPLIES Checklist! for Preppy Whale Quilt Pattern Include quality THREADS! Your list will differ likely. Most important is to PLAN YOUR THREAD AHEAD! My thread of choice is Superior Threads line up, which I’m most familiar..I LOVE them ALL. 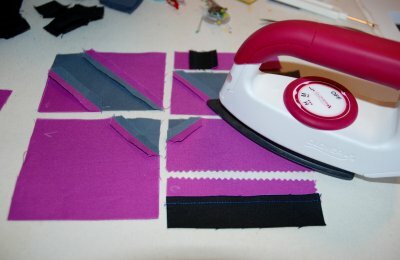 And I Love my mini-iron, Quilters Select ruler & rotary cutter, mini clips. All supplies shown and used in this tutorial are for sale on my website. Purchased Pre-cut squares makes this step a breeze before marking! 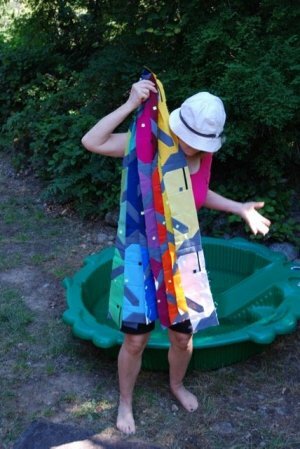 Or cut yours from fat quarters or yardage if you have all these? is next easiest option. 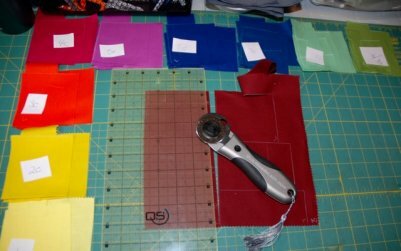 Have you realized a Need for GREEN markers along w white & grey for marking CUT LINES on certain fabrics? Bohin super fine chalk line offers precision & won’t rub off easily. both Bohin & Apliquick pencils in my tool box & on-line shoppe! 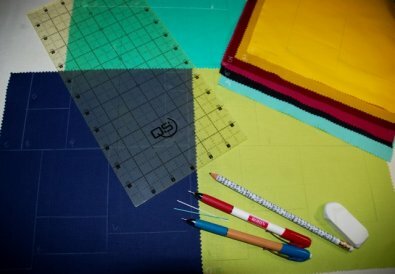 Precise markings, a sharp (weighted) Quilters Select Rotary Cutter & Clear View Ruler are essential tools ensuring accuracy to fit all 16 colours +6 Background pieces into blocks without drama. At least you’ll have the best chance starting out. Good luck! Attach some quick labels or stickies to each block pile to keep all pieces together and in order as you piece. Layout your pre-cut block pieces on a tray to transport as you go. Move them only once or change them IF necessary. 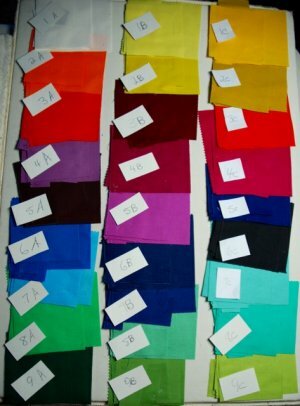 Include sizes for all background fabrics, sashing, & borders. Allow some (fudge factor)1-2” to & vertical borders especially. SoFine poly #50/3-ply or MasterPiece cotton #50/3-ply...my top 3 favs for top threads. My needles of choice are Superior Titanium Coated Topstitch Needles #70/10 or #80/12. Here’s a tip to get it right the first time LOL, okay 2nd maybe 3rd. Who is perfect always? Notice I’m working from an ironable surface (layed overtop machine cabinet)--handy & functional! I love my wool pressing mat but this surface is better due to marking pencils requiring a harder surface. 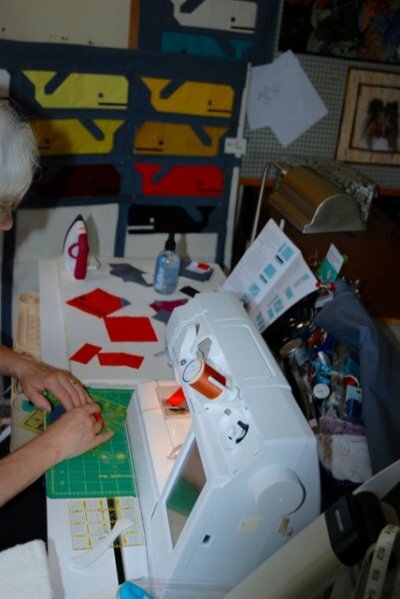 Plenty of clean space to mark each block, pin or clip & assemble sub units before stitching. Lint brush/sticky tape captures quiltillions of loose thread ends in the process. Power Piecing blocks with several diagonal corners keeps this step in check. 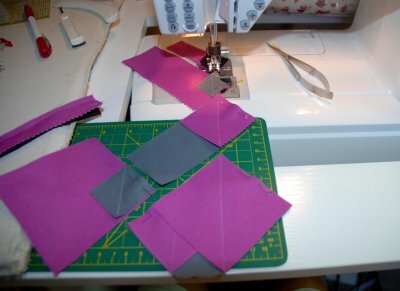 Less opportunity for error--especially with solid coloured fabrics that look the same on both sides & 1.5 or 1 inch grey squares (continues to throw me off game! )...pieces marked with letters on the wrong side although camera doesn’t see most of them. Completed Whale block BEFORE being squared up. One more opportunity to get it perfectly sized & uniform with the other 26 blocks before sashing & border steps. As mentioned, Cinderella’s Block-Play-Station is set up beside the machine so everything is accessible. “Less" chance to burn oneself & more chances blocks get pressed often in the process. Finger pressing is good most of the time; however, Clover’s Wedge mini iron is perfect for this step! Measure and square each row after completion before adding horizontal sashing. Keep them marked (little tags showing) to keep them in correct sequence. Square up corners before adding borders top and bottom. Take a picture to ensure everything is as expected! 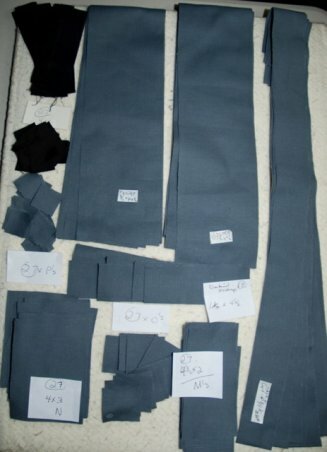 Cut and prepare backing fabric. Gather supplies: batting, roll of tape, rulers, rotary cutter, tape measure, pins, etc. Feel free to visit this page soon for next steps & TIPS! In the meantime, if I’ve inspired you to consider a new project here’s some FUN patterns to browse! 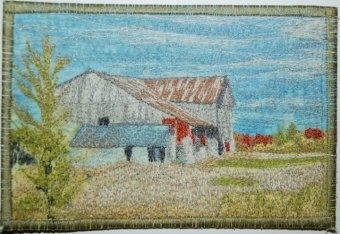 CQA Quilted Postcard Challenge 2018! everyone’s willingness to get on board and participate. I’m grateful to CQA/ACC Board of Directors for their support. for receiving, organizing & storing your precious postcards since 2017.
postcard classes were all gratefully acknowledged by many quilters. Congrats to everyone for all your contributions. Every postcard submitted & purchased counted towards this success. Thank YOU for Helping us Help BC Children’s Hospital. 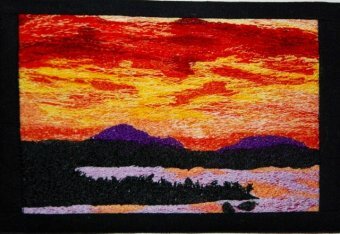 Canadian Quilter Assoc. website will soon have winners posted. 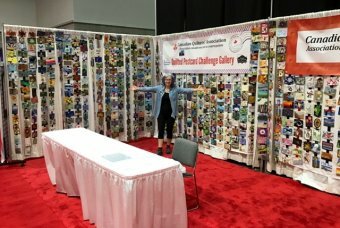 plus Quilt Canada Vancouver 2018 highlights including Trend-Tex & NJS Quilt Winners! CQA/ACC Membership receives subscription with membership...join NOW if you haven’t already to stay connected. 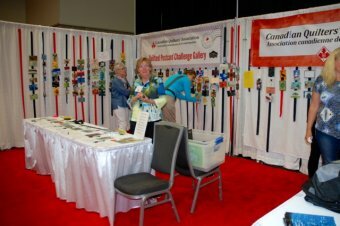 See you at the next (Western) Quilt Canada 2020 June 18- 20 Edmonton Shaw Centre! 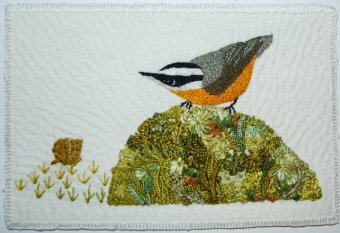 Jo-Ann Jenkins, “Red-Breasted Nuthatch”, from Burnaby BC. 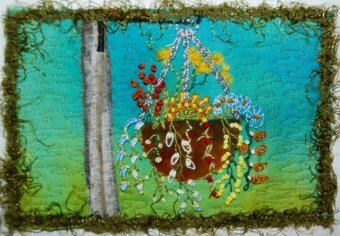 Hand-stitched postcard features Brazilian embroidery, needle painting, hand quilting. 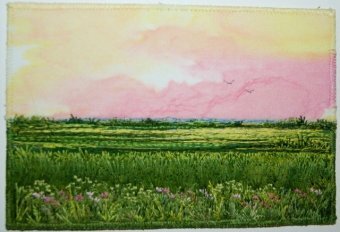 Monika Kinner-Whalen, “Prairie”, from Saskatoon, Sask. The Lap App Portable Table! 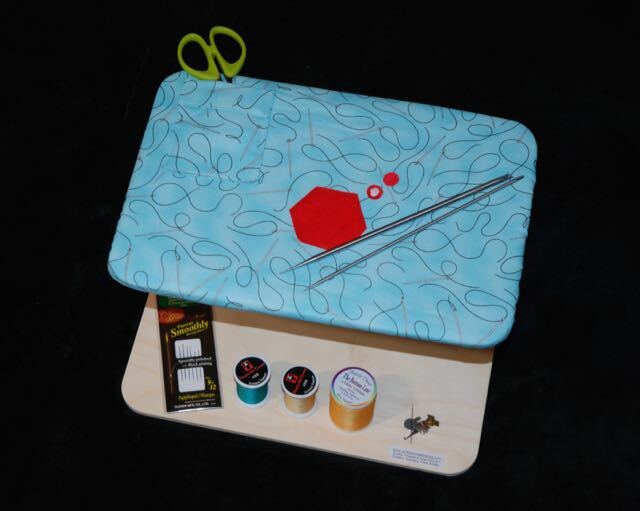 Have you ever wished for a portable table when hand stitching, appliqué, hand quilting, assembling hexagons, or crafting?Joyce Haskins is an appliquér herself and is the inventor of the Lap App© and proudly made in USA. I’m always delighted when my shipments of Lap Apps arrive and I see array of fun fabric covers--they’re always different! There can be prints with sewing notions or fabrics that mimic pieced, traditional or modern quilt blocks. The quality and workmanship are consistent and guaranteed. Under the slip cover is a sandpaper worksheet for tracing designs with better control and accuracy. Plus, there’s another slip cover for ironing. All well planned adding value with every feature. Notice the handy dowel pegs tucked under the table for thread spools and a magnet for threaders or needles. There’s even a pocket for scissor storage. The lightweight wood is solid, smooth, and strong. The adjustment knobs underneath accommodate various tilt and table height positions. Now when I appliqué my neck and shoulders are relaxed. It’s no longer painful to be seated for long periods. Thank you so much for sharing this product with us! Yes, you may quote me about my love of the LapApp at anytime as it has been a true blessing for me to use. No wrist or back pain when doing applique or sashiko as I can sit back in my chair and my wrists are supported and I always know where my needle , thread and scissors are. It is an extremely well organized unit. Now, I love that it allows me to sit comfortably in my recliner to read. Another plus about the way the LapApp is made is that we can easily adjust the position of it to our individual needs. Also , it is lightweight so no pressure on the thighs. So many positive things to say about it. Pat. I agree! another gal mentioned her hubby did the math from a carpenter’s point of view to reproduce one or come up with a facsimile and quickly announced she got a good deal, LOL…we can rest our case ;-) take care. Link for video and purchase info.